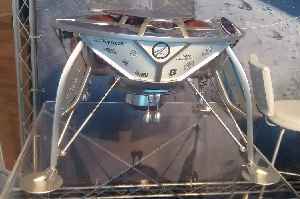 SpaceIL is an Israeli organization, established in 2011, that was competing in the Google Lunar X Prize (GLXP) contest to land a spacecraft on the Moon. SpaceIL successfully launched its Beresheet lander on 22 February 2019 at 0145 UTC; it entered lunar orbit on 4 April at 1418 UTC but, on 11 April 2019, problems occurred during the final moments of flight, communications were lost with the spacecraft just long enough for the braking process to fail, and the vehicle crashed on the lunar surface. The Beresheet mission had included plans to measure the Moon's local magnetic field, was carrying a laser retroreflector, and a digital "time capsule". Beresheet was the first Israeli spacecraft to travel beyond Earth’s orbit and would have been the first private lander on the Moon. Had the mission been completed successfully, Israel would have been the fourth country, after the Soviet Union, the United States, and China, to land a spacecraft on the Moon. An Israeli spacecraft has failed in its attempt to make history as the first privately funded lunar mission. The SpaceIL spacecraft lost contact with Earth late Thursday, just moments before it was to..